The removal of wisdom teeth is one of the most common procedures performed in dentistry on a daily basis. While most people will undergo this surgical procedure and do very well, a few people may suffer complications. Severe complications are rare. 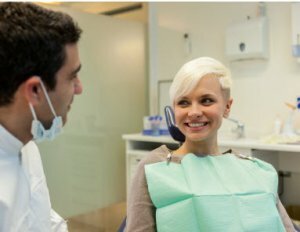 Following your oral surgeon’s post-operative instructions is the best way to prevent them. Pain: Any surgical procedure comes with a certain degree of discomfort but pain is well managed with the use of analgesics. Your oral surgeon will prescribe the appropriate medications for your case to keep you comfortable. The first 72 hours after surgery are the most critical and pain needs to be controlled with medications. After that, pain will subside significantly and you will start to go back to your regular activities. It is important to start eating solid foods slowly and returning to physical activities gradually as well. Listen to your body. If pain and soreness are increasing after three days rather that diminishing, call your oral surgeon because that is a sign that you may be developing complications. Swelling: After surgery, most people will have swelling of the face which is normal. Just like pain, swelling will subside in a couple days. Keep your head more elevated when lying down, use ice packs on the first day and stay away from physical activities until the swelling is down. Excessive Bleeding: Light bleeding is expected after wisdom teeth removal. In order to prevent excessive bleeding, stay away from harder foods like hard breads, bagels and meats. It is important to stay on a soft diet for at least three days. Also do not use a straw or swish your mouth vigorously in order not to disrupt the blood clot that is forming during the first three days. If the area starts bleeding, bite on a wet piece of gauze for twenty minutes until the bleeding stops. If that does not work, bite on a wet tea bag for twenty minutes or call your surgeon. Dry Socket: Dry socket usually happens after three to four days of the surgery in a small percentage of patients. Pain increases on the third or fourth day and it is severe. It happens when the blood clot is dislodged from the extraction site. It is common among smokers, you should not smoke ideally for two weeks after surgery to avoid complications. It also happens when one rinses vigorously or uses a straw after surgery. Your oral surgeon will be able to help alleviate this pain in case it happens to you. Infections: Infection is caused by destructive bacterial formations on the extraction sites so it important to keep your mouth clean and avoid anything that may irritate the tissues such as acidic drinks, sodas, spicy foods and harder foods. Also minimize snacking through the day. If you develop any unusual symptom, call your oral surgeon immediately. Even though rare, complications sometimes happen even to those who follow all of their surgeon’s recommendations. To learn more about your risks and benefits when removing wisdom teeth, call Dr. Erakat today at (732) 297-7000!